And so it begins. To kick it off, I’m doing a week of simple recipes. These are recipes that almost don’t require a recipe. They are things that everyone should know how to make, but don’t. These simple recipes will bring immense pleasure to your every day life. They will save you money and make your mouth happy. Who couldn’t use more of that?! And so, let’s begin with one of the easiest, most pleasurable foods I can think of- crème fraîche. It’s cultured cream, and it’s freakishly delicious. It’s not as sour as sour cream, yet has that consistency. It’s not tangy like yogurt. It’s denser than whipped cream. It’s cream, perfectly thick, waiting to be slathered on something. It balances sweet desserts, and it adds creaminess to savory dishes. You can use it in place of yogurt or sour cream in recipes. It’s just fabulous, and you need it in your refrigerator at all times. Whisk together the heavy cream and yogurt in a container with a lid. Cover the container and let it sit on the counter for anywhere from 12-24 hours. When you notice it start to thicken, whisk it once more and watch it magically turn to thick cream. Store in the refrigerator for up to a week, although I imagine you’ll eat it all up before then. Oh my god.. that sounds horrible and I seriously cannot imagine how you must have felt! On a lighter note though, this creme fraiche looks and sounds divine – I thought I had a good home-made creme fraiche recipe but clearly I need to try yours! Great Recipe!! 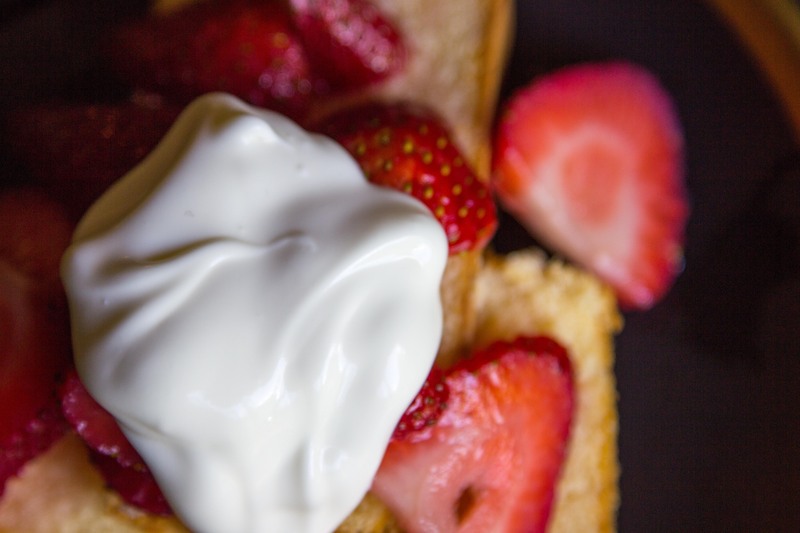 I would love to give another version of the Crème Fraiche and preparation of the pound cake please…Use buttermilk instead of yogurt, it Will give a deeper flavor to it. As far as the pound, we like to spray a little olive oil on it and grill it. 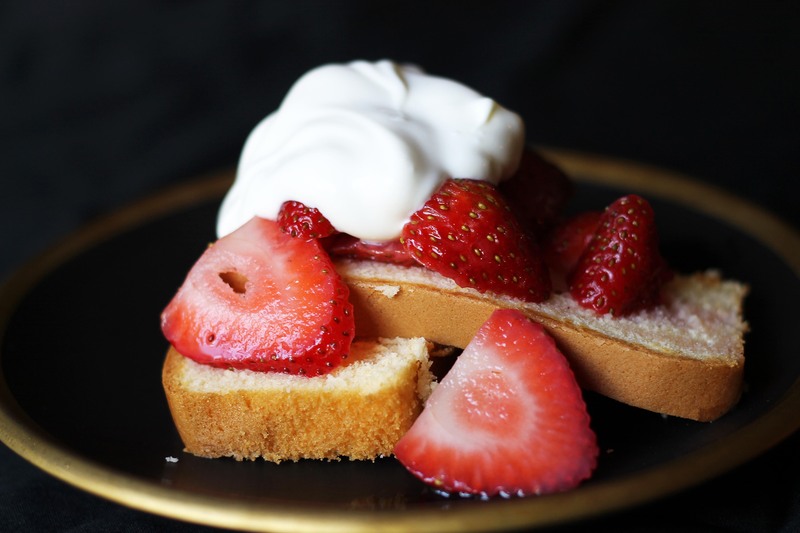 The combination of Smokey Pound Cake and the above recipe of crème Fraiche is amazing. I have made crème fraîache before using buttermilk, but I never seem to have buttermilk on hand. I however, always have some plain yogurt in the fridge! I love the idea of grilling the pound cake with olive oil. I have toasted it before, but this must take it to another level. Thanks for the tip.